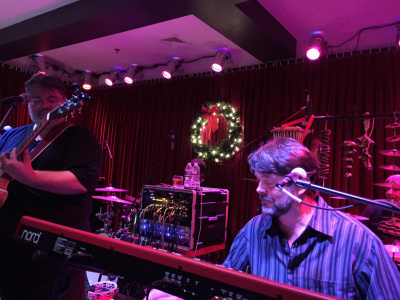 Hailing from New London, CT, the Franklin Brothers Band consists of brothers Jay Franklin (keyboards and vocals) and Carl Franklin (guitars and vocals) along side an always killer line-up of impeccable local musicians. The current configuration includes Dave Cafro on trumpet, Rob Funk on trombone, Cedric Mayfield and Gary Boigen on saxes, Tom DaFaria on drums, Kevin Carey on bass, local legend Che Cartafalsa on percussion, and introducing Nichelle Rollins on lead and backup vocals. All in all there are 23 rotating members. "The Franklin Brothers blend big production pop; ala Billy Joel's piano soaked soul, with the rootsy rock n' roll sounds of bands like The Eagles. The songs are clean, crisp and clear and completely inoffensive to the ears. This is an exercise in song craft and musicianship not of pushing sonic boundaries." "Had I heard this disc [Been a While] in 2013 (the year it was released) it might very well have made my 'best of the year' list. It’s that good." - - G. W. Hill, Music Street Live. 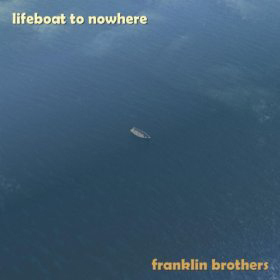 Lifeboat to Nowhere is the Franklin Brothers' second release. Taking 10 years to complete, this is a work of art by brothers Jay and Carl Franklin. 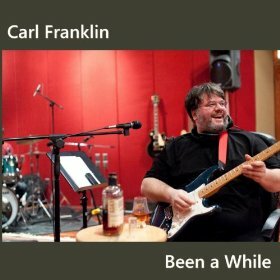 Been a While is Carl Franklin's solo album, which includes a track with the Franklin Brothers Band: Chain Reaction, also featuring John Scofield on guitar. Join this one-way list and we'll notify you of upcoming gigs. Sign up here! To inquire about booking the Franklin Brothers Band, please send email to carl@pwop.com or call Pwop Studios at 860-447-8832 and leave a message. Copyright 2016 by Franklin Brothers.